Ok so I stuck Autony AU in AB 3 (beta version) midi send slot, choose virtual midi bridge out in AB3 midi receive slot. Sent the midi across to a blank track inside NS2 and then used a send out from that track to Obsidian. Hit record and the midi is recording into the Obsidian track from Autony AU inside AB3 beta. So it can be done. It works sending midi with KB-1 aswell try sending chord notes out to Obsidian 7th heaven present from KB-1 your be blown away! then record away. If Blip will expose the NS2 Virtual Midi Port to other apps, the beta won’t be needed. This will improve connectivity from many other apps, such as Xequence and the standalone version of KB-1. This is pretty standard practice for midi controllable apps. 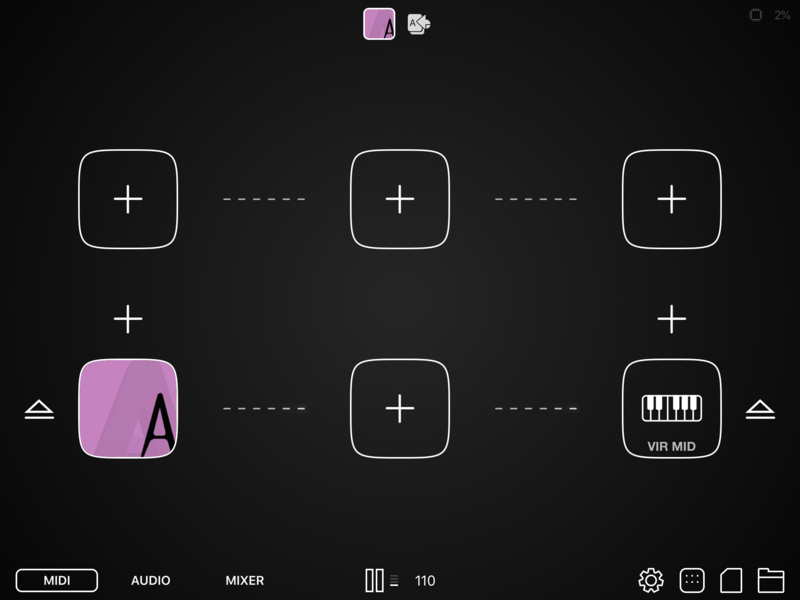 I’m sure AU fx midi recording will come in a update, StageLight on iOS and desktop has the same problem since launch. Wasn’t what I was talking about, but OK.
FWIW, it works just fine with AB3 that is shipping. I had to use MIDI flowAdapter to get the Midi signal out of AB into NS2 in order to record the MIDI data in NS2...a few hoops...but not much different than current workflow of modstep. Just wish it worked from AUM as I find the routing a lot more elegant and enjoyable to use. What's interesting about the setup is that the MIDI In is totally live in NS2, so as you select each new track/instrument the Midi is routed to it on select. So as you let it continue to Play out of AB, it plays on that selected track. What that means is that you don't have to use the SEND functionality to route it. This is a related use case, but somewhat different. I’m using Step Poly Arp Unit in the midi effects slot of a track without an instrument. I am then sending that midi to a track with Obsidian. It generates audio from Obsidian but I can’t get it to record the midi - very weird. Is this user error? Do I need to enable something else on the destination track? Nope. 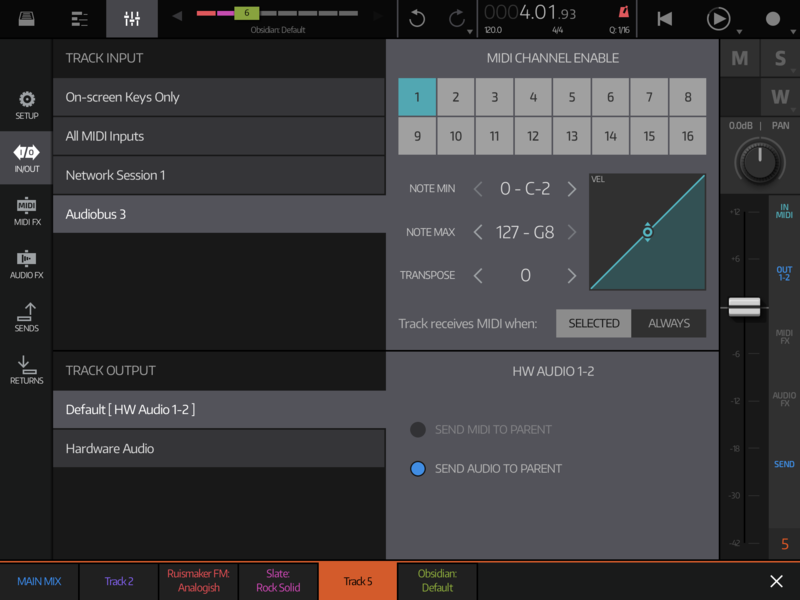 Recording of AUv3 midi is just not implemented yet. But is planned from what I’ve read. Good to know MF Adapter works. 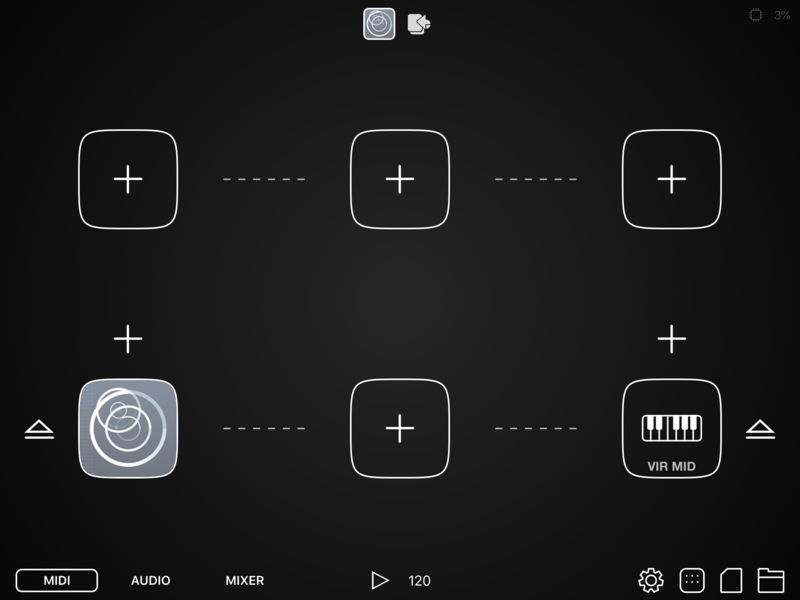 I’ve gotten out of the habit of using that since AudioBus began to support virtual midi ports. It would be nice, and possibly easy to do(? ), if the Blip exposed the virtual port so that AB and other apps could connect to NS2 as a destination. Manageable though. Thanks! After I wrote it this, I used the standalone of SPA and it recorded flawlessly. This needs to be implemented internally ASAP without people being forced to use messy AB workarounds etc. Hopefully it’ll arrive soon. Re recording midi, is there a way to compensate for midi delay? XOX in AB3 to NS2 works but there’s an offset (latency) if record quantise is switched off (to keep the incoming groove). Any ideas? Ta. TC Data now does Audiobus 3 midi in works great with Obsidian. Am getting a few stuck notes though using Audiobus 3 midi AU and virtual midi bridge to control and record midi data inside NS2. It might be helpful to rename the title in this thread as the Beta is no longer required. 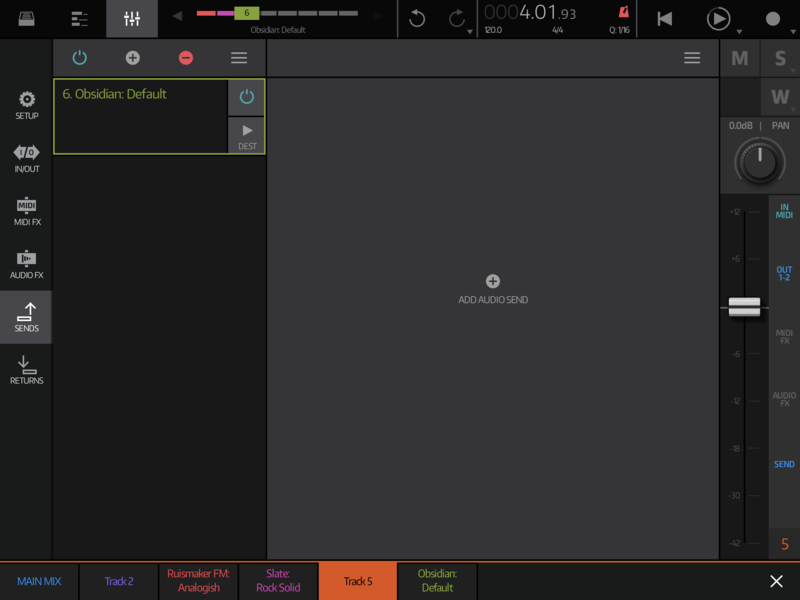 Some apps, like Xequence, optionally make use of “Midi Timestamp”. I don’t know exactly what this is, but it has helped in some cases of midi timing issues. Just throwing it out there as something possibly to look at if midi timing ends up needing some work. Solid timing is a pretty common, and dammnably difficult, thing to nail on iOS, it seems. I was about to post a new comment about this bug with Autony knobs, and I found this comment but without any reactions. So, I have this problem too. I tested Autony in AUM, BM3 (where Autony is not recognized as a midi FX but only as an instrument, weird...) and Cubasis, with no problem tweaking the knobs. But in NS2, it’s almost impossible to set the knobs like you want to. I thought it was worth pointing this out since it only happens in NS2. For me, Autony is still a bit glitchy in both iMPC Pro2 and BM3, definitely not perfect. For NS2 it is super-duper glitchy and difficult to use, I have to flick the knobs in short bursts to get them to move close to where I want it. And, iMPC Pro2 also places Autony in the synth list and also exposes a keyboard nearly indentical to BM3 - the keyboard doesn’t do anything. Given that Autony had a bad glitchy-knob problem in the past, and that it is still glitchy, albeit less in the other apps for me, I’m not sure this is a NS2 problem, but it does manifest itself the worst in NS2.